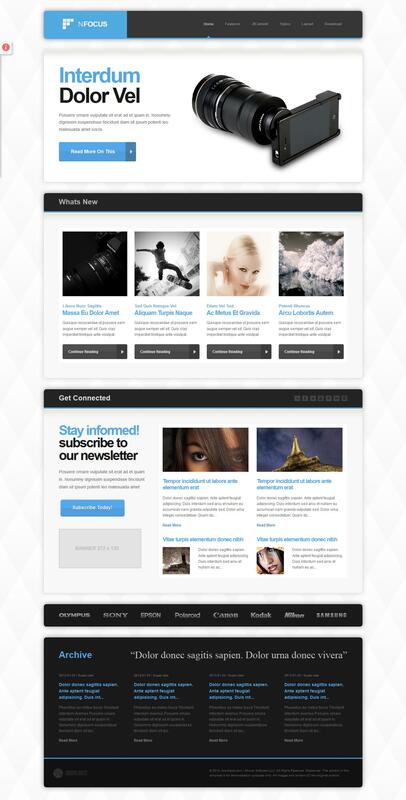 JXTC nFocus - stylish and dynamic template from the studio JoomlaXTC. Has an attractive and functional design at the same time, so well suited for blogs, shops, magazines, portals or corporate sites. Supplied with the JoomlaXTC XTC Framework, that allows you to have complete control over the template styles, and a correction of the pattern width and columns, backgrounds, color, and font sizes, layouts module positions and much more. Has 8 preset styles with 2 variations of each, 50 module positions, flexible design, uses CSS3. The set includes the following rasshireniyaDeluxe NewsPro Module and Html Pro Module.